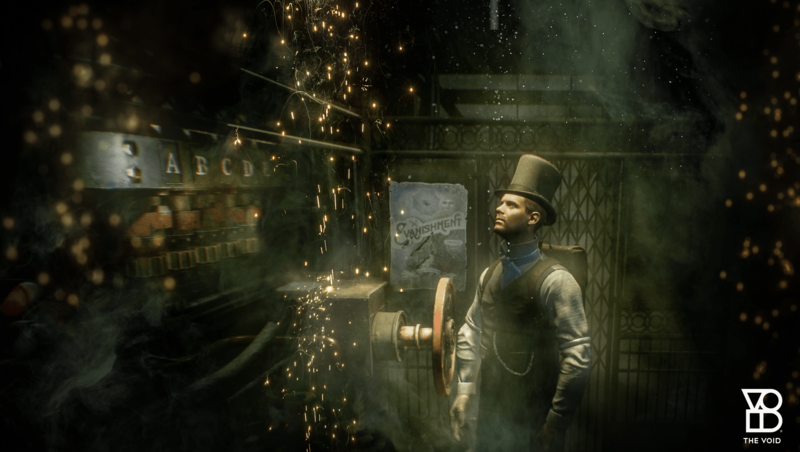 The Void immerses you in an imaginary world where you can bust ghosts with a proton back or track an ancient demon at the 1893 World’s Fair. Either way, you will feel – quite literally – as if you are inside the virtual landscape of shadows and terror, which emphasizes story to create an interactive experience more akin to immersive theatre than video gaming. The Void combines VR technology with physical settings to create a unique free-roaming virtual reality experience that includes physical interactivity. There are currently three Void shows running at the Glendale Galleria, one of which is specifically designed as a seasonal Halloween attraction: Nicodemus: Demon of Evanishment; Ghostbusters: Dimension; and Star Wars: Secrets of the Empire. Nicodemus: Demon of Evanishment is the VR equivalent of a haunted house walk-through maze, which casts participants as investigators searching for a demon that disrupted a 19th century world's fair. The Void is located next to Victoria's Secret, across from The Cheesecake Factory and The Americana. Advance tickets are recommended to reserve check-in time; arrive early, and allow approximately one hour for the entire experience. Depending on crowds, there may be wait times.